Steve Robinson - Author: New feature at The Family Curator. I was featured today at The Family Curator. 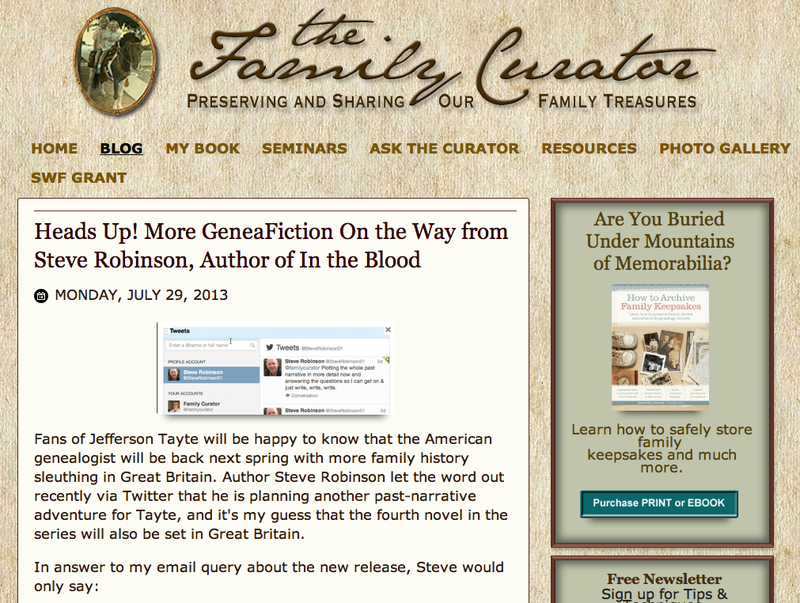 Denise Levenick who runs the website managed to coax a little information from me about my next Jefferson Tayte book.